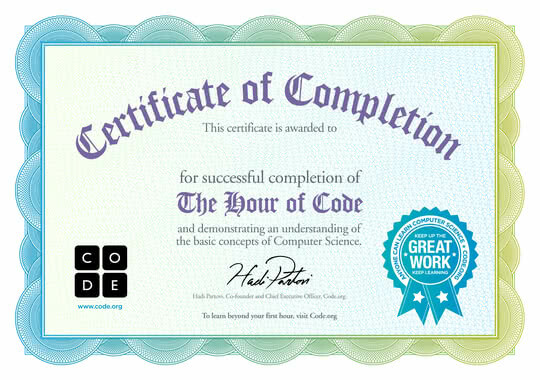 This is the Certificate of Completion I got for completing a maze Coding actvity. It was fun and challenging. It really challenged my brain. I got help from my mum and dad. I will do more activities on this website... I hope.